Call Detail Records Statics summarize the call information. Hours: Specific hour in that day. Date: Specific date in that month. Time: Specific time in that day. Minutes: Specific number of minutes. 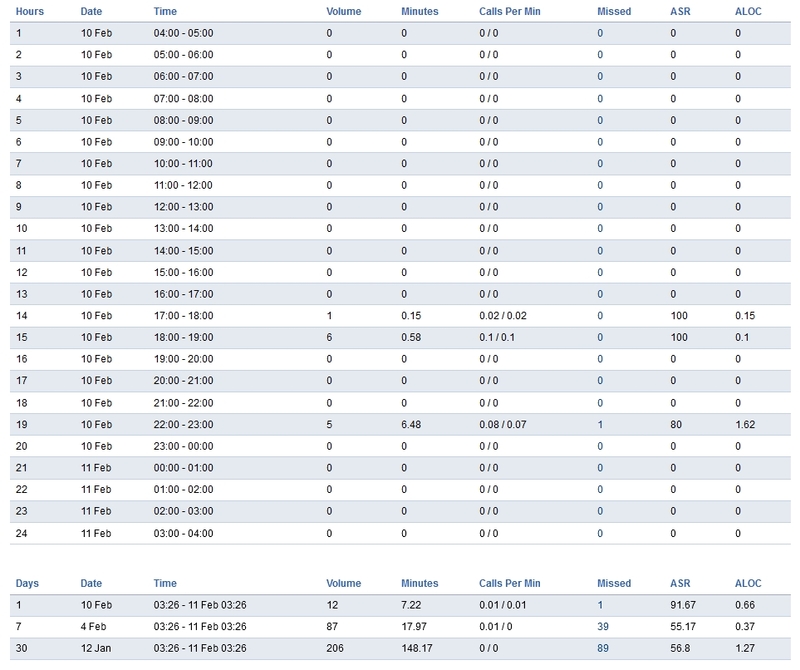 Calls Per Minute: Specific number of calls per minute. Missed: Specific number of missed calls. ASR: The answer to seizure ratio. Which is how many calls where answered versus not answered. Aloc: ALOC is the average length of call. Days: Specific day in that month.